The Gould School of Law is pleased to announce Hamid Behdad, Zev Yaroslavsky, Wayne Ratkovich and an impressive list of speakers for the 2014 Real Estate and Business Forum on March 5th. Behdad, along with other speakers, will be covering sessions in this workshop including one on the challenges and opportunities of urban resurgence in downtown Los Angeles. This conference is one that you will not want to miss, especially if you are a graduate student pursuing a masters’ in Real Estate Development or a Juris Doctorate’s degree. Others attending this conference will be professionals whose businesses involve marketing and selling real estate or urban development. The speakers coming to this forum are professionals who have made their imprint in one of the largest real estate markets in the United States, and they will be showing you where the direction of real estate and development is heading. What has made Hamid Behdad such a key figure in the development of Los Angeles? Behdad founded the Central City Development Group, an organization that’s been responsible for revitalizing areas of Historic Los Angeles that were unused and had the potential to be condemned through the Adaptive Reuse Program. One such district of building units that were restored and converted from old business properties to residential properties, was the Medici loft district, a new section of housing that’s allowed for greater expansion while creating affordable housing for workers in downtown Los Angeles. He conducted a similar project with the Pegasus, a former American Standard Oil building which is now a housing development comprised of 322 units. These accomplishments have earned him titles such as “Czar of Adaptive Reuse Programs” and the Downtowner of Distinction Award. But this is only to be the start of a surge of development that is hoping to bring in new public services, sidewalks, parks, and other bonuses that will return the city to glory. Other key figures who will be speaking at the forum this year will be Zev Yaroslavsky, Third District LA County Supervisor, Wayne Ratkovich, CEO and President of the Ratkovich Company, a company that’s developed projects for the improvement of city life, Professor M. Leanne Lachman from the Columbia Graduate Business School, and Jonathan Klein, Managing Director of Fortress Investment Group LLC. The forum will start off the day with a continental breakfast at 7:30 A.M, followed by a bonus session at 8 AM and an official welcome and a beginning of the day’s regular sessions at 9 AM. Once all of the sessions have concluded for the day, there will be a dean’s reception at 5:20 PM with music and drinks for enjoyment. The Standard rate for full day registration is $359 if you register before February 25. If you register on or after February 25, the rate will increase to $429. If you are a co-sponsor or bar association member, the rates will be $309 before February 25, and $379 after. If you only plan to attend the afternoon sessions, the cost will be only $175. If you’re a full-time law student, the cost is only $150 for either a full or half day registration. All registrations will require a $4 extra charge for processing. 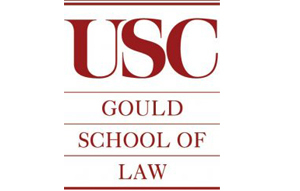 You can register by picking up a brochure and filling out the required information on the appropriate page, and mailing the form with a check made payable to USC Gould School of Law Continuing Legal Education – Real Estate Forum Registration 1149 South Hill Street, Suite 340, Los Angeles, CA 90015. Or you can register online at http://law.usc.edu/cle/realestate. For more information or to download a brochure, visit http://weblaw.usc.edu/why/academics/cle/realestate/.